Even with the warm, early spring, most lawns are brown and dead except for some tufts of long, green field garlic. We have always noticed the bunches growing along roadsides, in fields, and lawns coming up before most other edibles. It looked like an onion, it smelled like an onion, it had to be an onion, right? 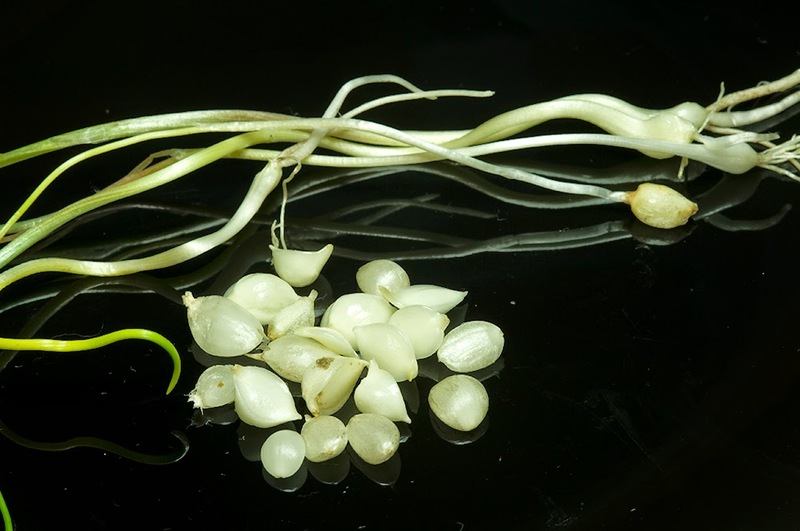 There are many different types of wild onions and garlics like ramps (Allium tricoccum) and the European ramsoms (Allium ursnium) that Robert is familiar with, and other species of wild garlic that grow in isolated areas of the western US. The wild garlic that appears most frequently in our area is probably one commonly known as field garlic (Allium vineale). 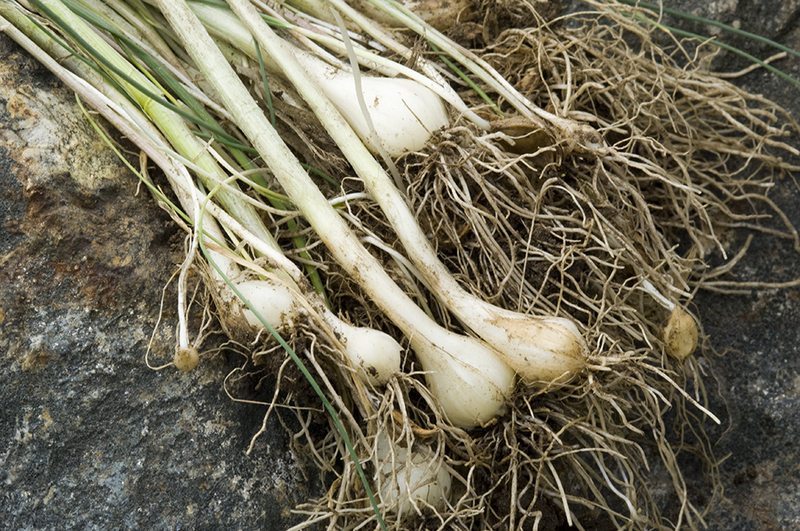 Field garlic is native to Europe, and is considered an invasive species in a few states. A few years ago when I was trying to Google "yard onions" I mostly came across people complaining about the plant, and looking for advice on how to eradicate it using herbicides, poison, and digging. Now there is more information on the edibility of your yard onions, but still a lot of opinions on the desirability of the plant. Some clusters seen to naturally produce narrower leaves that are more tender, and some clusters produce thick, tough leaves that are attached to a larger bulb. Using the correct stage of the plant is crucial to enjoying this edible weed. 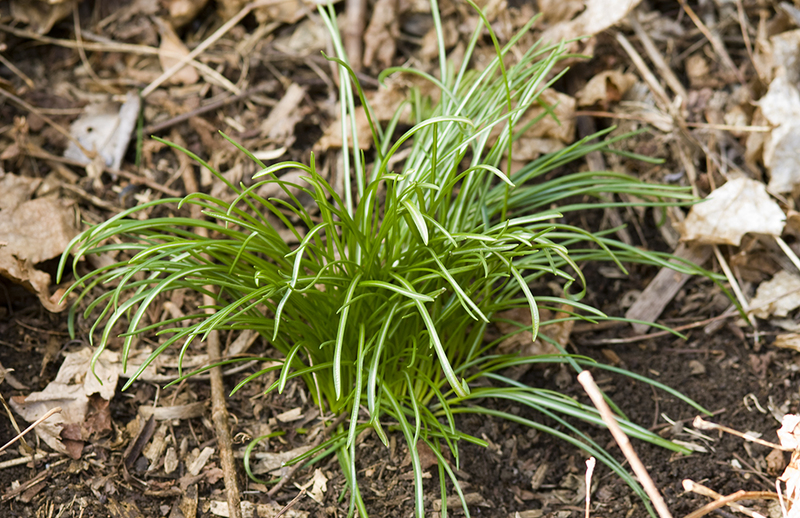 This is a plant that could easily be added to any recipe calling for onions, garlic, or chives. 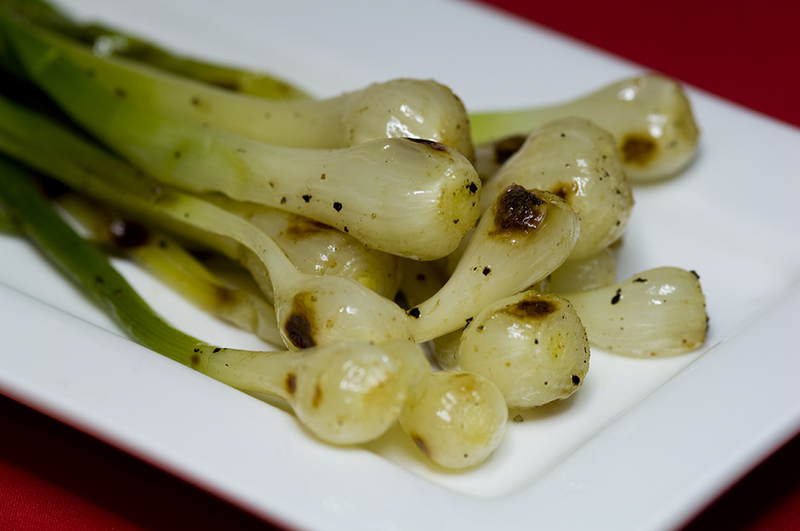 Gillian likes the large bulbs grilled with a bit of salt and olive oil. 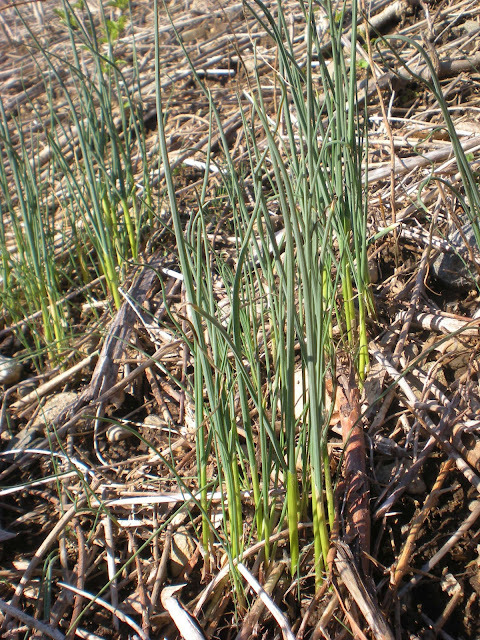 The leaves of field garlic are slender, waxy, hollow tubes that can grow 12"-18" tall. The bulbs can be 1/4"-3/4" in diameter, and are covered with a fibrous outer layer that is easily removed. The bulbs sometimes have small cloves covered in a hard shell attached to them under the fibrous layer. 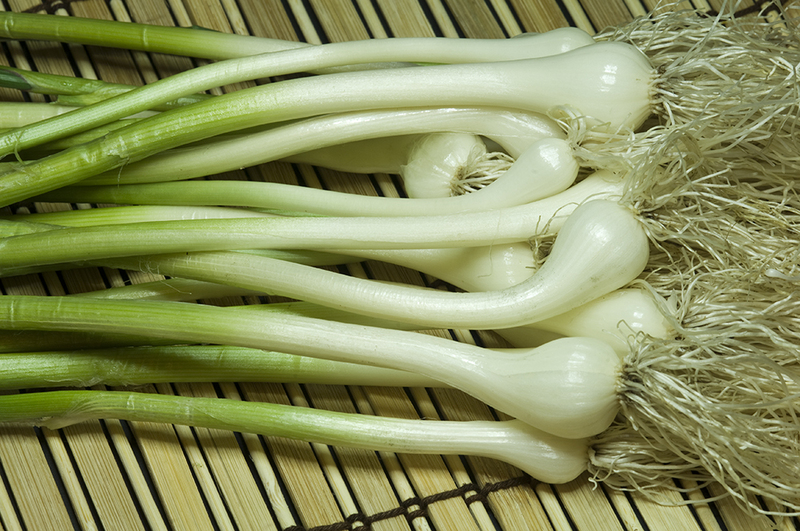 The big bulbs can be used like an onion, and although the tiny cloves are a pain to peel, they have a sweeter taste. 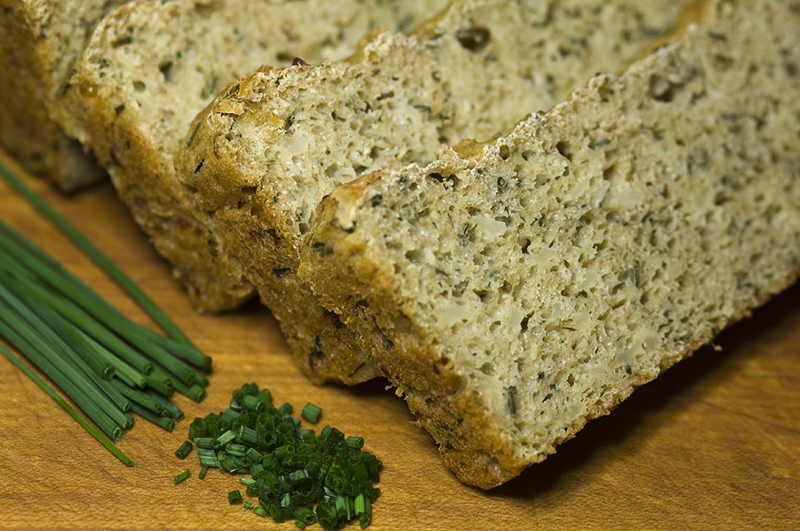 The tender, smaller leaves can be used like chives in many recipes, chopped into salads, and added to soups. Once the leaves get larger, they get a bit tough and stringy, but are still good to cook with in soups. The field garlic flowers in June, growing on a tough stem. 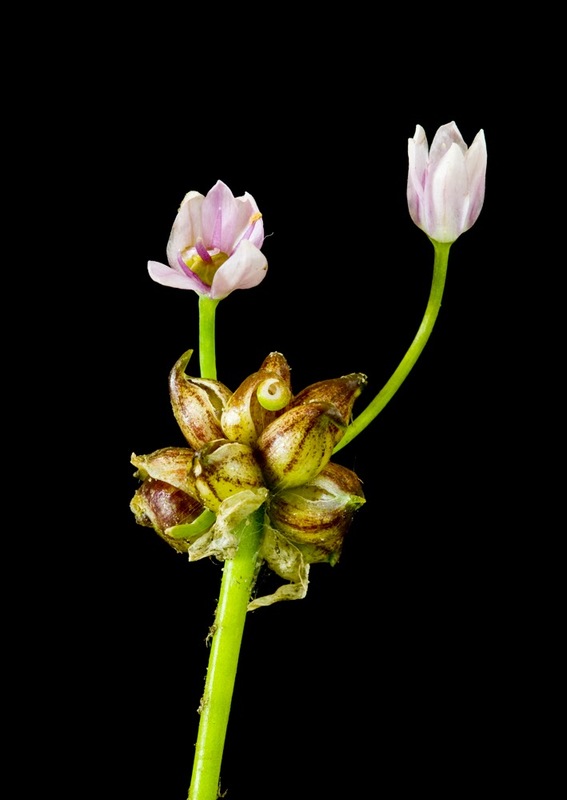 A ball of tiny bulbs, called bubils, grows at the top of the stem. From some of the bubils a six petaled, purple flower forms before the tiny bulbs fall to the ground to propagate. This flower is also edible, making a pretty, savory addition to an early summer salad. Star of Bethlehem-see the white stripes? There is one poisonous look-alike to field garlic, a common wild flower called Star of Bethlehem (Ornithogalum umbellatum). It comes up at the same time and often right next to some field garlic. It is easily distinguished by the flat shape of the long leaves, a white stripe along the length of the leaf, and no onion odor. It produces a white, 6 petaled flower. The bulbs of this flower contain alkaloids and cardenolides, which are toxic to humans and livestock. I always wondered about those "chive" type plants. Thank you for posting about the field garlic. I saw some fishing the other day. I will get some next time out. I live in the Providence, Rhode Island area. A neighbor gave me a batch of these he'd pulled out of his yard a few days ago. I chopped and sautéd them with jalapeño pepper and garlic and added to a cooked buckwheat groats. It was a nice savory dish with a distinctive "oniony" flavor. I have a question. I have some kind of plant in my yard which somewhat resembles this. It does not have round hollow leaves, it has flat leaves that look like leeks. It does not taste like onion, but rather a lot like garlic. 'the older stems are hard and woody. The head forms a loop with a bunch of bulblets on the end instead of flowers. It looks like it was deliberately planted by somebody. It is NOT garlic chives or 'Welsh Onion'. Any idea what it is? Without seeing the plant, I would say it is likely some type of Allium. There are a few species that are purposefully planted for their flowers or foliage. If they have a garlic-y or onion-y smell, they are an Allium. Never eat anything from the wild without first consulting an expert! Please forage responsibly. Educate yourself, and have fun.